Green Communications offers ready to use routers (YOI) equipped with the GreenSoft and essential applications for the easy setup of a Green PI network. YOI (Your Own Internet) is an embedded Linux router equipped with Green Communications’ software (GreenSoft). Each router comes with 2 Wi-Fi interfaces: one to create a network with other YOI, and the other to provide access to smartphones, tablets, laptops, or any other Wi-Fi device. YOI features a web server, so one can provide local content, services, and applications to the network. You may also configure YOI as gateway or use the YOI-4G/LTE equipped with a 4G/LTE modem to connect a Green PI network to Internet. In this case, local traffic stays local and global traffic is sent across the gateway to Internet. YOI is a low power device (<5W) that can be battery or solar powered to suit the need for mobile and on demand networking. 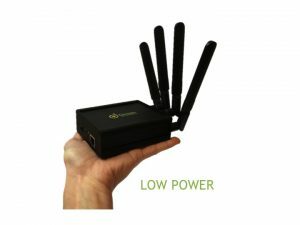 Handheld Device-to-Device Router Featuring 5W Energy Consumption for On Demand Networking. Generate Your Own Internet everywhere, with tiny Device-to-Device hotspot. Indoor YOI can be deploy in a few minutes to create an instant Internet Infrastructure (Wi-Fi, 3G, 4G) with no constraint of cabling. Indoor YOI gives access to both local and global Internet. One can keep the network offline and enjoy the local services hosted in the YOI in total privacy. A group of Indoor YOI can inter-operate with any other Green PI device to scale the network up. Weatherproof PC With 2 Wi-Fi Network Interfaces for Easy Deployment of Wireless Internet Network. 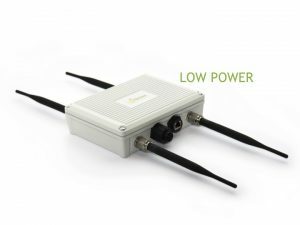 A set of low power Outdoor YOI coupled with a stand-alone power system offers an autonomous and cable-free wireless Internet infrastructure (Wi-Fi, 3G, 4G) for cities, temporary events and large infrastructures. A network of weatherproof Outdoor YOI can also be deployed quickly in case of emergency to restore connectivity and to support rescue operations. In each case, a network of Outdoor YOI can inter-operate with any GreenSoft enabled devices to further densify the network. 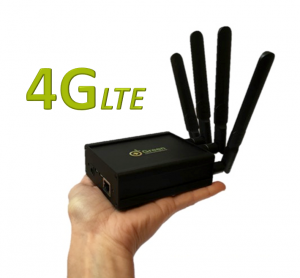 Device-to-Device Router With Integrated 4G/LTE Modem for Mobile Networking. Connect your Green PI network to other networks by using the YOI – 4G/LTE device as a gateway. Green PI will then extend the coverage of an LTE network to places missing connectivity. YOI routers are easy to deploy. Within minutes, a group of participants can create an instant communication network by simply turning the devices on. This sets a Participatory Internet (Green PI) up, providing both local-based content and global Internet access. Our devices are open. The system administrators can use SSH or serial connections to access an interactive shell on their devices, and operate them like any regular Linux system. Our products also provide network administrators and application developers with the raw network data, using standard protocols, so they can personalize the platform or build new applications and services. Some networks need to stay offline (disconnected from the Internet) for privacy reasons or because the deployment area is isolated. YOI does not require Internet access. This kind of confined Internet still offers messaging, SIP, XMPP, or sharing applications with no need for any external cloud server.